"You can't write seriously without reading the greats in that peculiar way that writers read, attentive to the particularities of the language, to the technical turns and twists of scene-making and plot, soaking up numerous narrative strategies and studying various approaches to that cave in the deep woods where the human heart hibernates." Some time ago, I had a discussion with Nann Dunne and a few other authors about reading and how it informs writing. Some authors said they rarely if ever read, whether they were writing at the time or not. Some said they only read when they're not writing their own work. Some said they read outside their own field/genre when they're writing so as not to influence themselves with someone else's style, tone, or topics. And some said they read incessantly, writing or not. This led to a discussion about the value of reading, which I've been puzzling about for many months. How best do we learn about the particularities of language, the technical aspects of scene-making and plot, and the narrative strategies that Alan Cheuse refers to? Published books are usually (not always, but usually) fairly well-written, and the clever, persistent writer minimizes errors, whether the problems are in the structure, plotting, point of view, believability, etc. Often the first pass through a book goes so smoothly that you can't analyze anything. After all, the book has been edited, revised, and proofed - it should be as nearly perfect as the author and publisher can make it. The fact that you breezed through it on a cloud of happy sunshine affirms that anything well-written can hold the reader's attention, spark imagination, and cause the willing suspension of disbelief. But a second read - even a skim - can yield all kinds of interesting information. Now that you know the plot and characters, you can look more closely at the techniques and tricks the author used. What issues did she effectively cover up? What problems did he avoid? And what does this tell you that you can apply to your own writing? What Does Reading Provide the Writer? • make us think about issues and ideas outside ourselves. • give us new viewpoints and show lots of different techniques for telling stories. • almost always give information and knowledge to the reader. • allow good works to remind us of what we are aspiring to; and reading those works that may not be of such high "literary" quality not only can be fun, but also might teach us what NOT to do. • help us practice analyzing and evaluating others' work. • help most writers fire up the kiln of imagination. • educate writers about what has already been done. The last item is critical. I once taught a class where not one but TWO aspiring writers came to class with partially written fantasy novels. The class read sections of each writer's work and came back to the critique session with the unpleasant task of informing the writers that their work was derivative, repetitive, boring, and that it had already been done, re-done, and over-done. Both writers had invested much effort in their creations and were crushed. Neither had read (or even read about) books in the fantasy realm. They'd spent a lot of time imagining worlds with evil dark lords and creating characters who may as well have been Bilbo and Frodo Baggins. I don't necessarily agree with old Bill. It's not enough just to absorb. Some writers do indeed seem to learn intuitively through reading. I know I've learned quite a lot after reading hundreds - maybe thousands - of mysteries since I was nine years old. I believe I have a deep understanding of the mystery structure and the ebb and flow of how that sort of tale rolls out. But does this happen for everyone? I don't think so. There are many other types of writing for which I don't have this kind of understanding. Besides, problems arise in translating that knowledge from my brain to the page, which is not such an easy task. From my experience teaching writers, I have discovered that only a few of them (maybe 15-20%) have naturally or automatically managed to make that translation. The other 80% have trouble and get extremely frustrated. While they may possess (or may organically develop) an intuitive understanding of fiction, they don't seem to be able to take that understanding and consciously (or unconsciously) use it to create a story or novel that "works" on the page. As a teacher and editor, I have always hoped that reading would expose writers to styles and ideas that they can parse in such a way that their own works will benefit. But my experience as a teacher of highly motivated and largely above-average-in-intelligence adults is that the majority of them can't make the translation in anything other than the most rudimentary ways. (So no wonder they've taken the writing class, right?). Perhaps the fault is mine as a teacher. I'm unable to tap into each student's collective unconscious and can only appeal to what commonalities we can find. While they may have some memory and some understanding of the way conflicts were resolved in what they've read, the experience of reading those stories doesn't help if the writer can't translate the IDEA of the way something was resolved into writing that the reader can understand. As a teacher, I can't get in there and help them either - the process is too fuzzy and amorphous. But if we read something together, take it apart, name the parts and the processes, sometimes something clicks. Ideas don't translate into stories on the page; only the techniques of fiction can accomplish that. It seems to me that 99% of aspiring writers can TELL out loud the most amazingly effective, entertaining, even terrifically intricate stories. But telling and writing end up being two very different things. The conventions we use to tell a story orally do not all work when we attempt to write that story down. The writer ends up in a new realm that's surprisingly difficult to navigate, and I constantly find my students by turns confident and completely flummoxed by the challenges of that realm. This is particularly true of novel writing. A novel is such a *huge* project, and there are so many ways to go wrong. Faulkner's advice then is not so apt. It's not enough to merely read, even if one absorbs hundreds of books. Writers need to read with more intent, more focus, more awareness than the average reader. It's one thing to read and enjoy a story; it's quite another thing to read for MORE than story. The latter is considerably more work, and some writers are frightfully unwilling to delve deeper. An even larger number, I'm finding, have never been taught HOW to read deeper so they can make translations. It's sort of like watching from above as someone navigates a maze - it looks fairly easy from that vantage point, but once we're down in it, suddenly it's not so easy at all! • Read carefully, even the back and front matter. • Identify the genre or type of writing. Does this strike you as a serious work that requires energy and commitment to read? Is it entertaining? Is the work purely for escape? How do those qualifications affect the way you view and understand the work? • Make a note of what strikes you as well-written, beautiful, or stunningly cogent - and why. • Make a note of what jars you out of the narrative - and why. • Examine the language, the diction, the style and ask yourself why it does or does not work. • Consider the structure of the book. Is it straightforward and linear? Does it jump around through time? Are there many perspectives from which to experience the tale - or only one? • What is the theme of the work? • Examine the sentences. Are they long? Flowery? Brief and to the point? Does the writer use simple language to convey the narrative - or complex and circuitous language? • Think about Tone. Is this book witty? Serious? Plodding? Devil-may-care in delivery? How does the tone of the book get established by the author, and what is good about that and what is perhaps not so good? • Do you find yourself constantly asking "Whoa-what's going to happen next?" How does the author achieve that? Or are you constantly thinking, "Gee, this is sure predictable"? If the latter, why is the book predictable? • What literary devices or techniques does the author use? Symbols? Cliffhangers? Withholding information? Plot twists? Red herrings? How much flashback or flash-forwarding? How well do these work - or are they obvious and heavy-handed? • Step outside your comfort zone and read works that you wouldn't ordinarily read. If you tend to focus on escape reading, pick up a classic and plow through it. If you like "high literary" novels, try an adventure or a thriller. If you like contemporary works, try something historical, or if you tend to read action and war stories, try a cozy mystery or a memoir. • Read two different types of books and compare and contrast how effective they are and why. • Read the book or story with someone else and discuss it at length. It's clear to me that happily reading through a novel or story is not enough to allow a writer to glean useful information and tactics. You must be mindful. You must think about what the author has done (or not done). You have to spend some time considering what you've read, and with our schedules so cram-packed, we don't often do that. Pull out a book you have always enjoyed, and copy longhand the first and second page. What is it about this author's style and story that entrances you? Pick a writer whom you enjoy. Randomly select a long passage from the middle of the book. Still adhering to the plot and events, rewrite the passage to give it a different tone and focus. Pick a writer whose work you despise. Randomly select a long passage from the middle of the book. Still adhering to the plot and events, rewrite the passage to give it a tone and focus that you find acceptable and interesting. I know that time is limited, and many writers say that they'd rather focus their energy and resources on their own work, but failing to take the time read is a critical error that can hobble writers more than they can know. One way to narrow your choices is to search the Internet to find "Top 100" or "Best Books Of All Time/This Year/The Decade/The Century" lists. If you write Westerns, for instance, you could look at this list from The Western Writers of America: http://thelibrary.org/booklist/titles_jackets.cfm?catid=583. Go to the local library and check out these 18 books and peruse them. Get a feel for the themes and techniques the authors use. What do they have in common? How are they different? There are "Best/Top" Lists all over the Internet - find them and do some survey reading to get a better feel for the type of writing you are doing. In fact, you might want to survey what's popular right now to see what's currently being done so that your work can be new and fresh and different - or at least retro. "There are two ways to learn how to write fiction: by reading it and by writing it. Yes, you can learn lots about writing stories in workshops, in writing classes and writing groups, at writers' conferences. You can learn technique and process by reading the dozens of books like this one on fiction writing and by reading articles in writers' magazines. But the best teachers of fiction are the great works of fiction themselves. You can learn more about the structure of a short story by reading Chekhov's 'Heartache' than you can in a semester of Creative Writing 101. If you read like a writer, that is, which means you have to read everything twice, at least. When you read a story or novel the first time, just let it happen. Enjoy the journey. When you've finished, you know where the story took you, and now you can go back and reread, and this time notice how the writer reached that destination. Notice the choices he made at each chapter, each sentence, each word. (Every word is a choice.) You see now how the transitions work, how a character gets across a room. All this time you're learning. You loved the central character in the story, and now you can see how the writer presented the character and rendered her worthy of your love and attention. The first reading is creative—you collaborate with the writer in making the story. The second reading is critical." Curl up with a book and have a pleasant day! From her untitled book about novel writing, a work in progress. Not for distribution or copying without the express permission of the author. 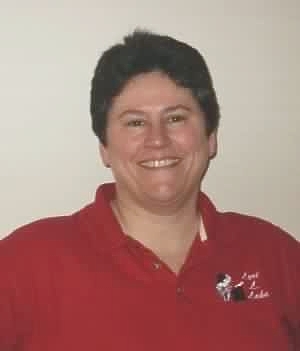 Lori can be reached at Lori@LoriLLake.com and welcomes questions and comments.